Conleth Hill, Alex Hassell, Tori Butler-Hart, Fisayo Akinade, Alix Wilton Regan, Graham Butler, and Emma King are amongst the cast. Here’s the synopsis for his intriguing-looking film from filmmaker Matthew Butler-Hart. The Isle. 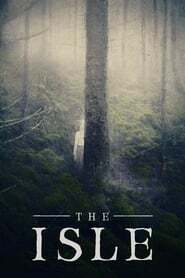 Set in 1846, three sailors are shipwrecked on an uncharted island off the west coast of Scotland to find four lone inhabitants living in what was once a thriving community. As days pass for the promised supply ship to take them home, the sailors discover that not all is well on the seemingly friendly isle.